“The design solution expresses the Flint ideology of craftsmanship and modernity. 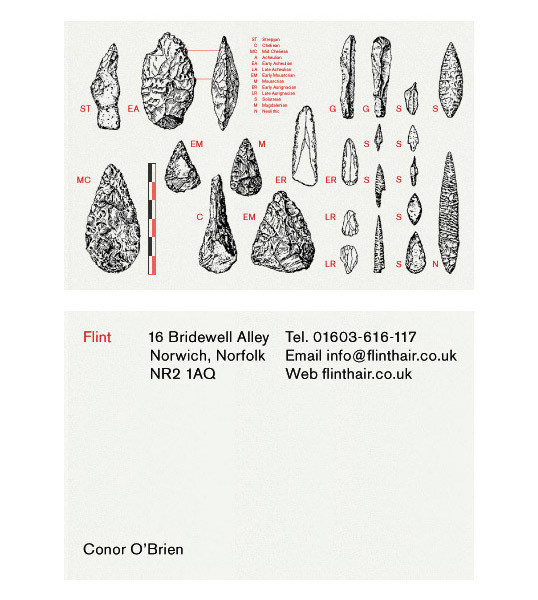 Stone-age cutting tools made from Flint (a material found in abundance in the Norfolk area) illustrate this identity for a boutique hair-salon based in Norwich. 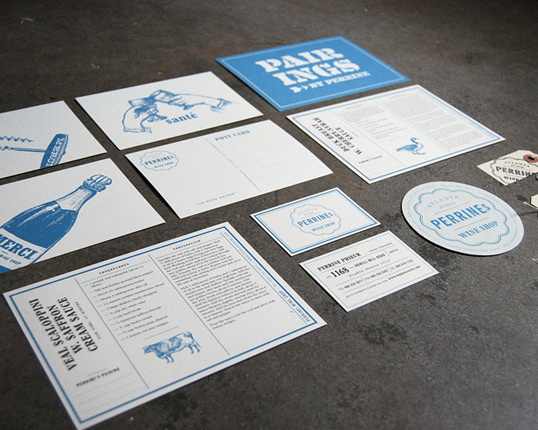 “Perrine developed a passion for food and wine at a very early age. At 14, she attended a private school focused primarily on the culinary arts and the hospitality business. For four years she extensively traveled throughout France, working in various kitchens eventually deciding to pursue her passion for wine. Upon graduating from the highly regarded Le Castel sommelier school, she moved to London to work as a sommelier in the Michelin 3 star restaurant Le Gavroche. This restaurant has the highest regarded wine cellar in London.